The event will feature more than 20 interactive booths, cooking demos and food samples. They are joining thousands of people around the country participating in Slow Food USA’s first-ever “Dig In,” a national day of action aimed at creating a world where food is good for you, good for the grower and good for the planet. 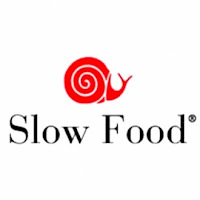 Dozens of local volunteers and members of Slow Food Utah are joining together on Saturday, Sept. 25 for “Building a Better Lunchbox,” an event that teaches parents and children how to make better food choices for every meal of the day by using the resources around them. The event is free and open to the public and will be held at the Sorenson Unity Center, 1383 S. 900 West, from 1-4 p.m. Salt Lake City Mayor Ralph Becker and Councilman Van Turner will join the attendees at 2:30 p.m.
For more details, click here. Thanks City Weekly for this information!